After all the “Is it because I’m Chinese?” memes, things have taken a serious turn. 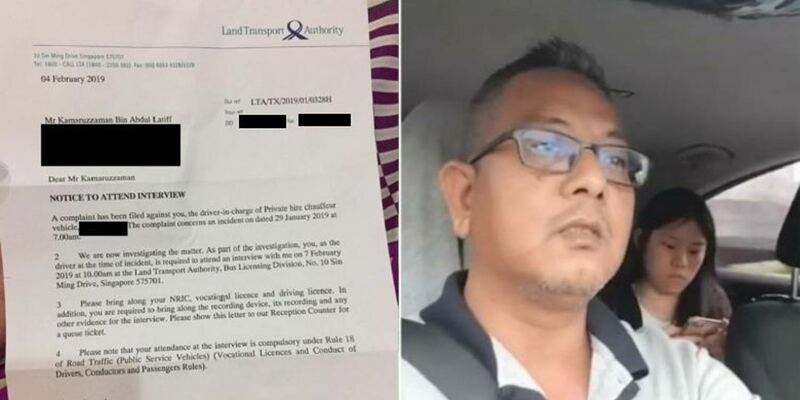 Go-Jek driver Kamaruzzaman Bin Abdul Latiff, 49, has been summoned for an interview by the Land Transport Authority (LTA). In a letter dated 4 Feb 2019, Mr Kamaruzzaman was given notice to attend an interview today (7 Feb) after a “complaint” was filed against him. The complaint concerns an incident on dated 29 January 2019 at 7.00am. Catch up on the epic Go-Jek incident here. We take a closer look at the regulations he’s broken below, and explain why the video could have saved him from far more grievous charges. Simply put, public hire vehicles aren’t allowed to have “inward facing cameras and recording devices”. Read about LTA’s detailed guidelines for in-vehicle recording devices (IVRDs) here. If found guilty of contravening these rules, Mr Kamaruzzaman may be docked 21 demerit points which may lead to the revoking of his license, under the Road Traffic Act. Without a license, he could be disallowed from driving for Go-Jek, despite the company stating they won’t be taking action against him. The Change.Org petition seeking leniency on Mr Kamaruzzaman’s breach, claims he’s the “sole breadwinner” in a family of 3 children, and the loss of income will “hit his finances hard”. With close to 50,000 signatures to date, it does seem like many Singaporeans seem supportive of Mr Kamaruzzaman’s predicament. Mr Kamaruzzaman also had to denounce a page requesting for donations to him as he is not involved whatsoever. In an interview with Dzar Ismail, Mr Kamaruzzaman laughed as he watched his viral video with the hosts. That’s why when I see that I start recording. While they shared many light-hearted laughs, he mentioned that he lost sleep and weight since the incident went viral. 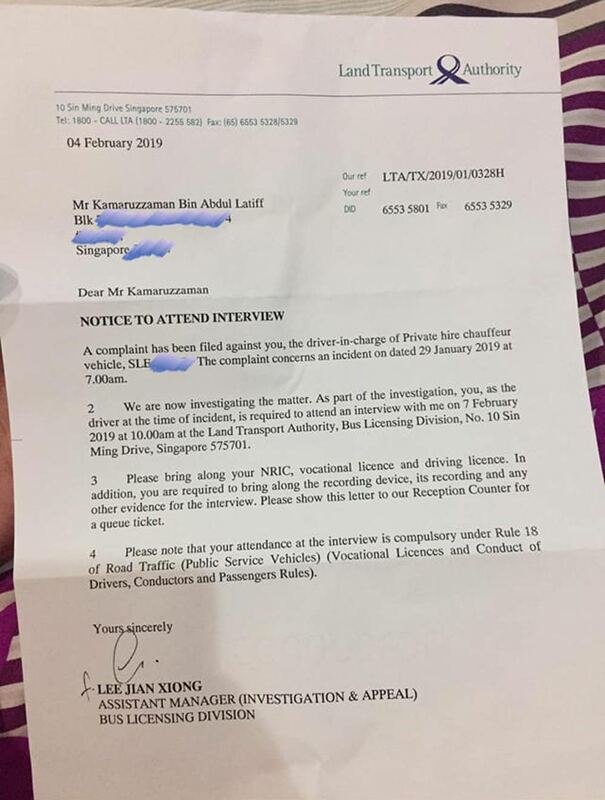 While LTA’s rules on IVRDs protects passengers’ privacy, we think Mr Kamaruzzaman had no other option in this case. As mentioned, the passenger pulled out her phone camera first. First, she accused Mr Kamaruzzaman of cheating her money, calling him a “rogue and dangerous” kidnapper who held her “hostage” shortly afterwards. Finally, she claimed he was a crazy man who locked her in his car. Without the footage, the young lady might have cried wolf successfully — kidnapped with auto-lock until she kicked the door opened and ran for help, putting Mr Kamaruzzaman in an awful light. Even worse, he might have been prosecuted as a criminal, without the footage. The video puts these claims to rest and even injected a dose of humour for the week, though it might have well been illegal. At last here it come. Just pray for me. Please don’t bother that girl anymore. When someone never learn the 1st mistake…someone will make more mistakes. We hope things will turn out well for him because his level-headedness through the stressful situation has been lauded by many as an inspiration. If you believe in leniency for Mr Kamaruzzaman, do sign the petition here. Do note that certain claims of the possible penalties he may face within the petition, aren’t verified. 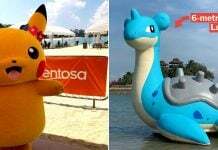 As for the passenger, please take the MRT from Bishan to City Hall if you want to get to Coleman Street in the future. It costs $1.35. 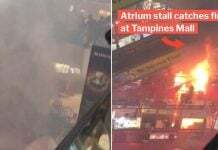 Featured image from The Straits Times and Facebook.